AVR® microcontrollers (MCUs) have long been used to create highly responsive sensor nodes because of their cost effectiveness and ease of implementation. 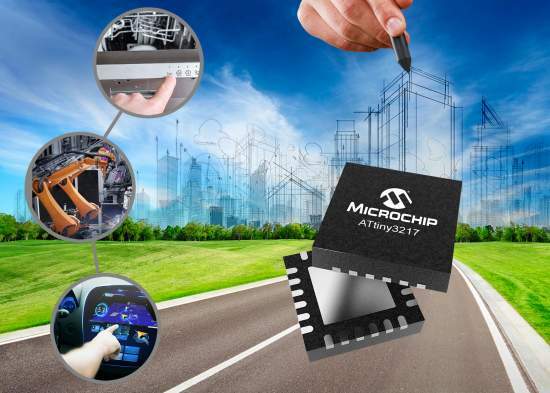 To enhance the capability and responsiveness of applications in these settings, Microchip Technology Inc. (NASDAQ: MCHP) has expanded its tinyAVR MCU series to include two new devices with advanced analog features and the largest memory variant in the family. Designed for reliable operation in harsh environments, the devices come with built-in safety functions to help designers create robust and safe systems. Improved real-time performance and accuracy: The dual ADC can be used for synchronous sampling of analog signals, such as voltage and current, thus improving the overall system real-time performance and accuracy. Additionally, the devices feature a hardware-based Event System that enables inter-peripheral communication without CPU involvement, reducing latency and ensuring faster system response.